Huawei is working on its P30 series with fancy names - Elle, Vogue and Marie Claire. The latter is going to be Huawei P30 Lite according to the leaks and rumors. 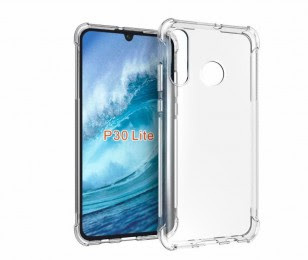 Also, P30 Lite is expected to launch ahead of the other two flagships, P30 and P30 Pro that are going to launch by the end of March. Recent leaks show that Huawei P30 Lite will feature a 6-inch screen with a 1,080 x 2,312 px resolution. Moreover, the phone will feature a teardrop notch and a fingerprint reader on the back according to the render (the in-display readers are still reserved for the premium models). That’s much about the design of the device. The Huawei P30 Lite will run Android 9 pie and will be powered by a Kirin 710 chipset. A certification from 3C revealed that the phone will come with an 18W charger (9V/2A). The most promising feature of the phone is its triple rear camera setup. The triple camera module of the handset is expected to feature 20-megapixel, 16-megapixel and 2-megapixel camera sensors. On the other hand, there will be a 24 MP snapper for selfies. There is no information about the price of the smartphones yet.